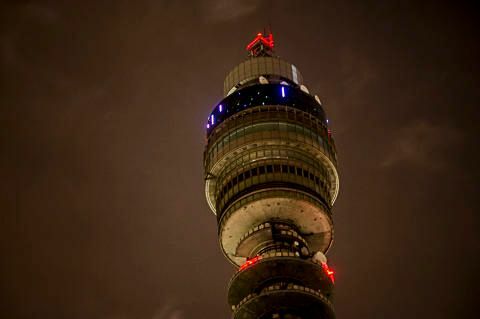 BT Tower has become the highest building in the world to host an Internet of Things (IoT) base station, at a height of 180 metres. The iconic building now forms part of the expanding Things Connected network in London that was launched by Digital Catapult in September 2016. BT has partnered with Digital Catapult and Everynet to help deliver the network and is supplying 25 of the 50 low power radio access base stations in London, known as LoRaWAN technology. Eighteen are currently in place and the rest will be installed this financial year. LoRaWAN allows internet enabled devices to use very low power resulting in long battery life and a long range, low cost solution ideal for delivering IoT applications. Things Connected will be an open IoT testbed, free of charge for registered users across London. The network will be switched on in early 2017. The Internet of Things is about everyday objects having network connectivity, allowing them to send and receive data which will inform people’s decisions as they conduct their everyday lives. Some practical examples might include providing information about a building’s energy efficiency, which route someone should take when travelling or how to find an empty parking space. Small businesses, start-ups and the local community in central London have been asked to submit ideas on the Digital Catapult website about how they plan to use the Things Connected network. This will encourage them to investigate how the IoT can transform their business or daily lives. Digital Catapult plans to extend the network across the rest of London with low power wide area network (LPWAN) technologies. It also intends to create similar networks in other parts of the UK.